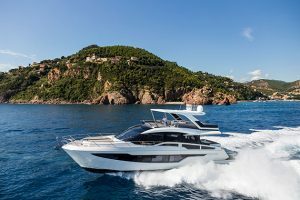 Cutting to the chase, the Azimut Atlantis 43 is the best Atlantis sportscruiser we’ve seen for a long time and one that may be able to sway buyers from the Princess V39 and Sunseeeker Portofino 40. 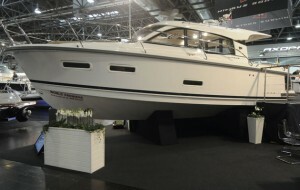 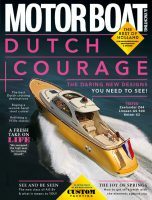 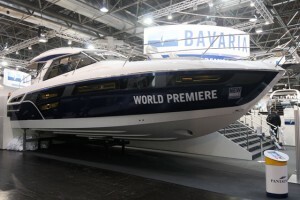 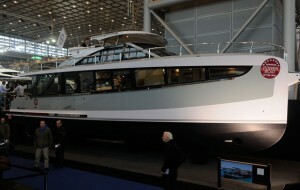 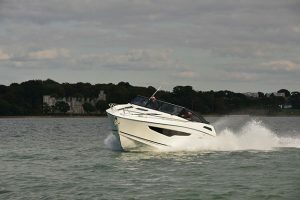 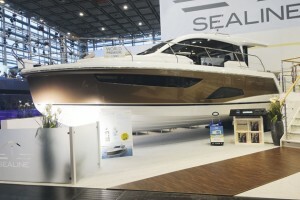 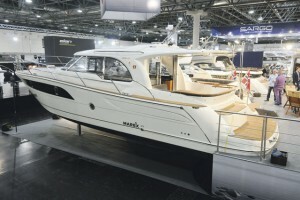 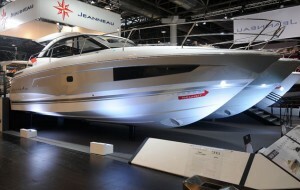 The main appeal is that despite being roughly the same price as its British competition the 43 is actually 45ft long and feels enormous on the the inside despite its svelt exterior. 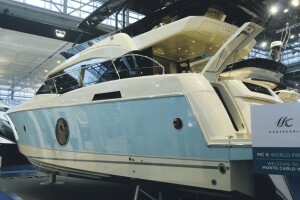 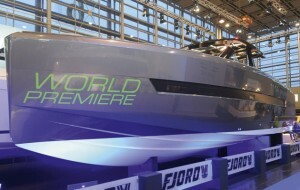 The cockpit is large enough to fit seating and a sunpad without either feeling pinched and there’s the added bonus of having a tender garage to keep the bathing platform clear. 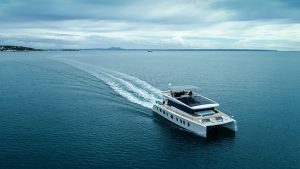 The fit and finish below decks falls in line the Azimut’s high quality image and the two cabins get masses of space and a bathroom each. 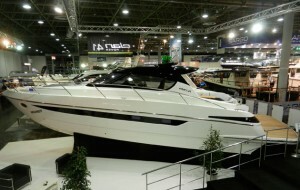 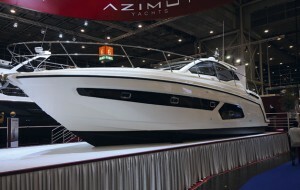 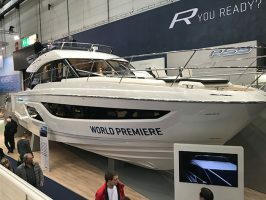 Interestingly, Azimut has decided to opt for sterndrive propulsion over IPS or traditional shafts, which should be lively when paired with the punchy Volvo Penta D6 400s. 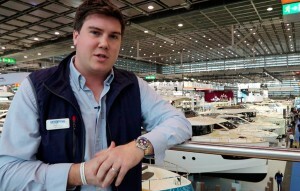 Get a closer look at the Azimut Atlantis 43 by clicking the video above and reading the full show review in the April 2015 issue of MBY.